Why Are Suicide Rates Higher In The Mountain West? 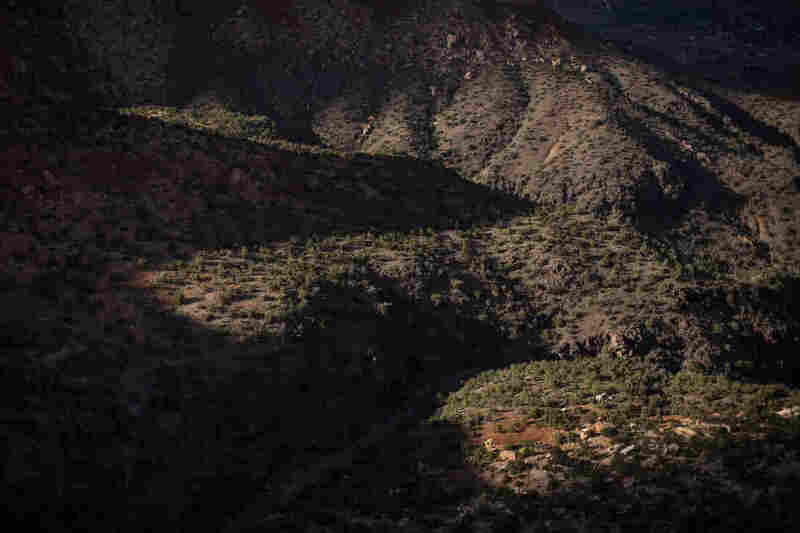 : Shots - Health News Eight of the top 10 states with the highest suicide rates are in the Mountain West. Grand Junction, Colo., has launched an ambitious effort starting in the schools to try to address the problem. Houses in Grand Junction, Colo., are shadowed by the mesas of the nearby Colorado National Monument. After seven teen suicides occurred in Grand Junction during the 2016-2017 school year, students demanded change. At the confluence of the Gunnison and Colorado rivers, the town of Grand Junction, Colo., sits in a bowl of a valley ringed by tall mountains, desert mesas and red rock cliffs. For local residents like Victoria Mendoza, sometimes the setting makes her and others feel isolated. 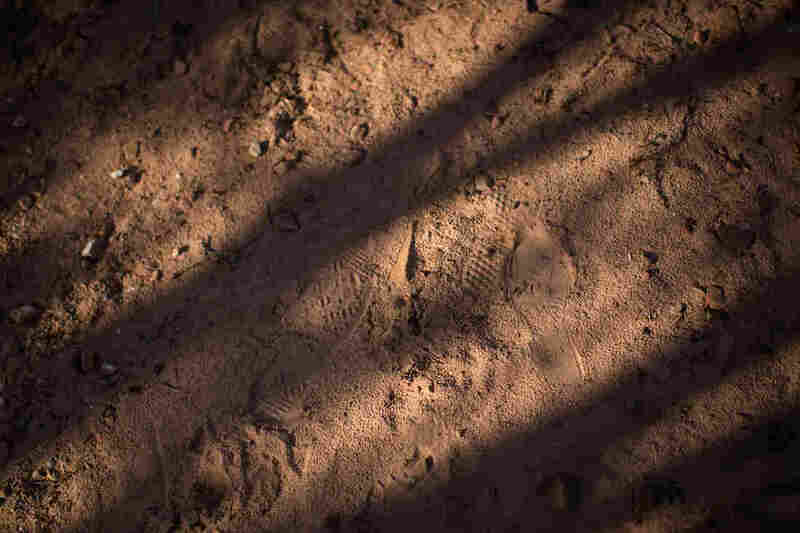 "I know we can't really fix this because it's nature," says Mendoza. "I feel like people in our valley feel like there's only life inside of Grand Junction." Mendoza, 17, has battled with depression. It runs in her family. The first funeral she ever went to as a little girl was for an uncle who died by suicide. Things got even worse during the 2016-2017 school year. There were seven teen suicides, including a student Mendoza knew from being in band together. At another high school, a student killed himself in the parking lot in front of a crowd. "It felt like there was this cloud around our whole valley," Mendoza says. "It got to a point where we were just waiting for the next one." If you or someone you know may be considering suicide, contact the National Suicide Prevention Lifelineat 1-800-273-8255 (En Español: 1-888-628-9454; Deaf and Hard of Hearing: 1-800-799-4889) or the Crisis Text Line by texting 741741. 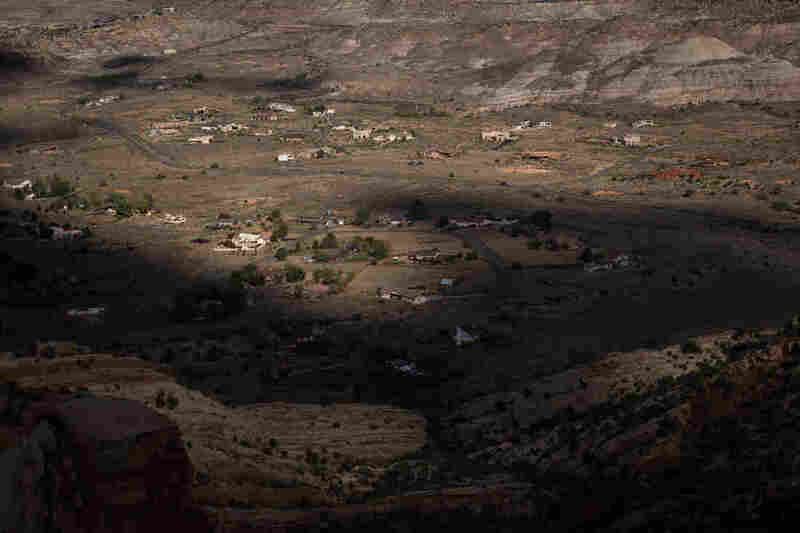 Eight of the top ten states with the highest suicide rates in the nation are in the rural mountain West, including Colorado. The region has been labeled "the suicide belt." Even scenic mountain resort towns like Aspen and Durango, Colo., have reported upticks in suicide. Suicide is a problem everywhere in rural America though. More than half of those surveyed in a poll conducted by NPR, the Robert Wood Johnson Foundation and the Harvard T.H. Chan School of Public Health said they knew someone personally affected by suicide. Most of the top ten states with the highest suicide rates are in the mountain West, including Colorado. It's not clear why mountain states are hit so hard by suicides. One reason that research points to may be that suicide is stigmatized across the West, where self-reliance and a "pick yourself up by the bootstraps" mentality runs deep. "We unfortunately think of mental illness instead of mental health," says Cathy Ebel, who has worked in the Mesa County School District for 30 years. Historically, resources have been thin in rural areas, too. A lack of jobs and economic opportunity may contribute to suicide risk, and these communities are often short on mental health treatment options. Grand Junction does have a small mental health hospital. But it's the only one between Salt Lake City and Denver, a 500 mile span. A third reason is access to guns. The mountain states tend to have the highest suicide rates and also the highest rates of gun ownership. "That's not a political statement one way or another," Ebel says. "We have guns in our home because my boys hunt, but I think the accessibility makes a difference." In Grand Junction, regardless of the causes, Ebel says that after the teen suicides during the 2016-2017 school year, the district was forced to act. The old way wasn't working. Victoria Mendoza says, at first, kids were told not to talk about the suicides or publicly memorialize the victims. The thinking was that there would be copycats, or students might not get the proper advice if they talked to adults who weren't trained. All of this was frustrating for students like Mendoza. "It kind of made a division between all of us because we were all scared to even say anything about it," she says. In 2017,the district adopted a suicide prevention program called Sources of Strength or SOS, an evidence-based program in schools around the country. Mendoza, who's now a senior, is one of dozens of peer mentors in the program. She's trained to be a "gatekeeper," to recognize when fellow students could be in trouble. SOS mentors are not junior psychologists. But the idea is that someone like Mendoza might be more approachable to another kid at first. And she also may be able to recognize someone who is struggling earlier on, and connect them to help. 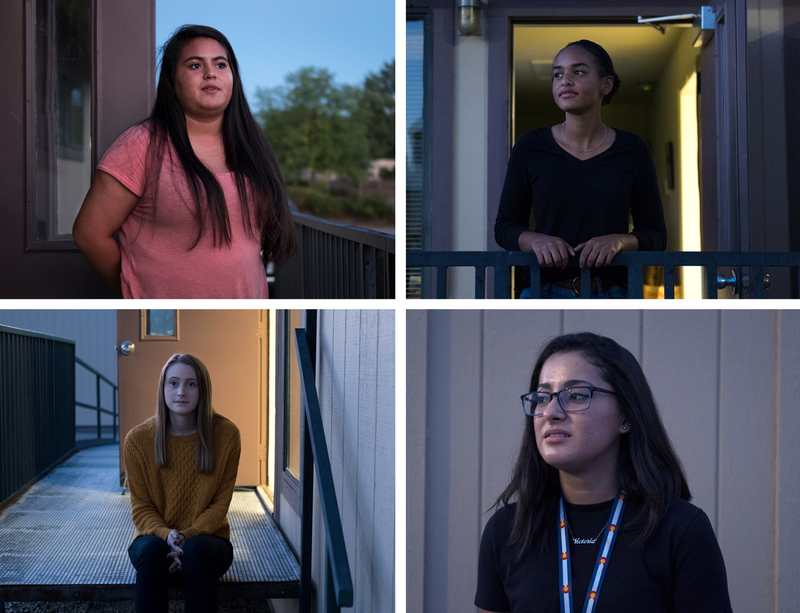 High School mentors in the Sources of Strength program (from top left, clockwise) Heidy Cardenas, Mawusi Danso, Victoria Mendoza and Johneth Price are trained to recognize when one of their peers is struggling. The goal is to reach students in need sooner rather than later. A lot of the change was brought on by students, who demanded action. "We realized that we didn't really have any mentors to go to, especially if we personally were affected by the suicides," Mendoza says. The school district hired a suicide prevention coordinator to work in the schools full time. Every employee — from teachers to bus drivers — has to have mandatory suicide prevention training every year. Students receive a similar training, beginning in the sixth grade and a mental health "resiliency" curriculum begins even earlier, in grade school. Middle school kids in the Sources of Strength program at Orchard Mesa Middle School hang cards that fellow students wrote on what makes a good friend on the wall of the school cafeteria. (Bottom left) Lily Lee is one of the mentors in the program. At Orchard Mesa Middle School in Grand Junction, a group of 8th graders gathered in the lunchroom on a recent morning before classes. 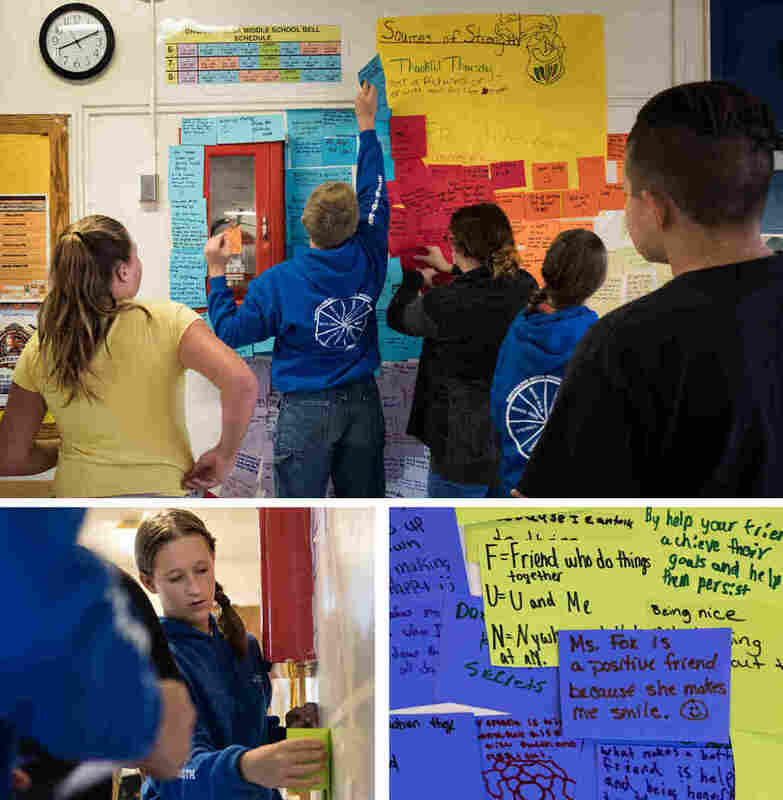 They taped hundreds of note cards up to the wall with handwritten messages on them: short, positive messages of what made a good friend or how a friend helped them through tough times. Student Lily Lee says her idea of a good friend was someone who helped others feel positive, to "just support them through what they're going through so they don't feel like giving up." Spend some time in the schools here and it's striking just how many people you meet who have been directly affected by suicide. Lee's father and uncle died by suicide. Genevieve Morris is the new suicide prevention coordinator for Mesa County school district. She says that reaching students is a way to change the social norm for years to come. "It's tough to share," Lee says. "But I've shared it a lot [lately] and it if it helps other people cope I don't mind." Lee, too, is a peer mentor, acting as a role model and talking openly about why it's important to be strong and help others. At Orchard Mesa alone, the goal is to have at least 10 percent of the student body trained. What's going on in Grand Junction represents a broader shift in public health thinking. The idea is that when you tackle a seemingly insurmountable problem like suicide, you start "upstream," focusing at its earliest roots, at a time that may be years before someone gets to the point of a crisis. In this case, the strategy is to zero in on the mental health and well-being of every kid, and for that matter everyone in the entire community. In Grand Junction schools, people on the front lines sound confident that this is going to work. Though it could take years to see real results. One person in the community who's watching all of this is Kari Sewell. She had two daughters in high school here recently. Six years ago, she lost her husband to suicide. In fact, that is the demographic most prone to suicide — older men, like Lily Lee's father and uncle, and Sewell's husband. "The idea of having a peer, or someone who is supporting you who has been through that experience, I think is incredibly valuable," Sewell says. "You're traumatized — you don't know which way to turn." Afternoon light sets in a canyon on the southern end of Colorado National Monument. Sewell's husband grew up here, was captain of the Grand Junction High football team, valedictorian of his class. He was also a pilot in the Gulf War and for United Airlines. Later he was a dad and a competitive bike racer. He was a community fixture. "Suicide has no boundaries, even in beautiful places with incredibly successful, active, healthy people," Sewell says. After her husband passed away, Sewell wrestled with staying or moving home to Park City, Utah. But she decided to stay in Grand Junction and go back to school to study social work. She now works as a program adviser at Colorado Mesa University. She says her town and others in the Colorado mountains have come a long way even just talking about suicide since her husband's death. "Gosh, I guess it's a double edged sword," Sewell says. "It's so common here that there are so many people in the community who are struck by it in one way or another." According to a recent poll by NPR, the Robert Wood Johnson and the Harvard T.H. Chan School of Public Health more than half of respondents said they knew someone personally affected by suicide. While there are suicide programs in Grand Junction aimed at older age groups, the bulk and focus of most of the resources is going to the schools. Why? Genevieve Morris, the school district's new suicide prevention coordinator, says it's because students are demanding action. "They have the most powerful voice, research tells us, when it comes to creating social movements and changing social norms and changing the things that need to change," Morris says. 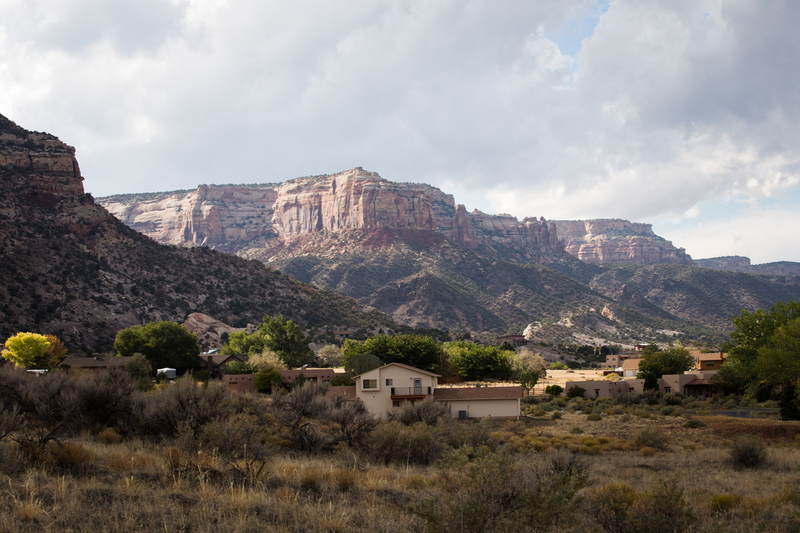 Houses lie at the base of Colorado National Monument. The school district in Grand Junction knows it could take years to see whether their efforts towards suicide prevention have worked.